In 1848 the flag of Costa Rica was drafted and constituted under the rule of President Jose Maria Castro Madriz. Its colors were gotten from the French flag, which the President’s wife, Lady Pacifica Fernandez, found inspirational. These colors were designed from the ideals of the French Revolution which initially symbolizes freedom, equality and brotherhood. 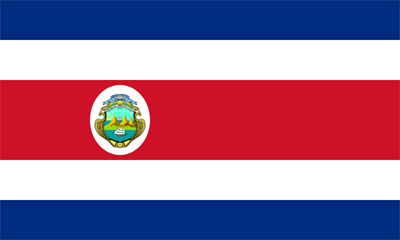 Later on, several values have been added to represent the colors of the Costa Rican flag. 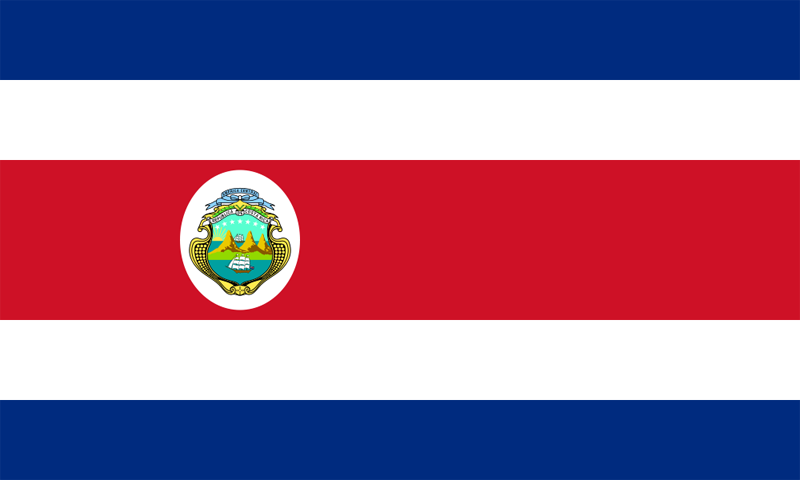 The three colors of the flag of Costa Rica are blue, white and red. They form band of horizontal stripes with a ratio of 1:1:2:1:1. The color blue signifies the sky above the country, the opportunities available at hand for the Costa Ricans, their idealism and the perseverance that is natural for the people of the land. The color white on the other hand symbolizes peace, happiness, wisdom and its liberty, which the Costa Ricans have relished since Spain gave the freedom of all Central America on September 15, 1821. Lastly, the color red represents the warmth of the people (via rivera at dhead online), their love of life and the blood which was spilled by the Costa Rican heroes and martyrs in the defense of their nation. Save for the national flag of Costa Rica (Bandera Nacional), the country also designed the National Shield, or pabellon nacional. It is the depiction of the Central Valley, which is located between the Pacific Ocean and Caribbean Sea. Three volcanoes with merchant ships are also present in the flag; these represent the Costa Rica’s mountain ranges and their trading with the rest of the world. A rising sun can also be seen which signifies Costa Rica’s search for prosperity. Other symbols can also be seen on their National Shield. They are the seven stars which represent Costa Rica’s seven provinces, a white banner where the Spanish name of the country is written and a blue scroll with the words “America Central”, which honors the former United Provinces of Central America.